Bundesliga clubs are jetting off around the world for their pre-season training camps. 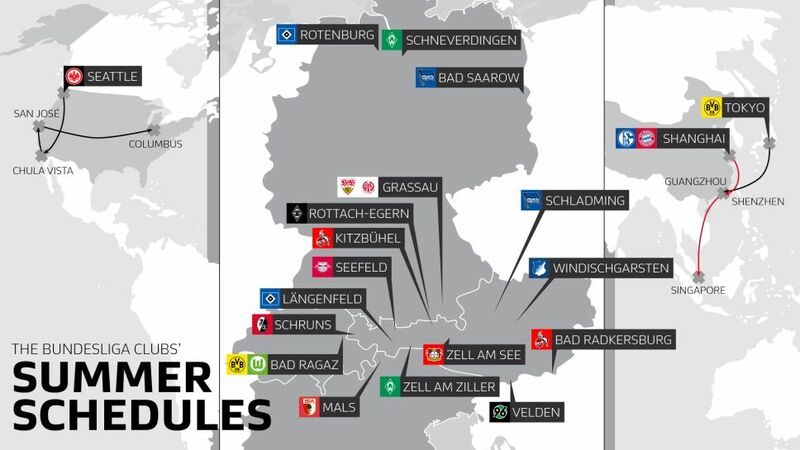 From fitness tests, to training camps to friendly matches, bundesliga.com has gathered the pre-season summer plans of all 18 Bundesliga clubs into one useful guide for you. Click right here for the official transfer centre! Just click on the tabs below to find out who, where and when your club is facing, and how they're faring throughout pre-season.